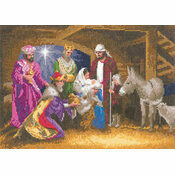 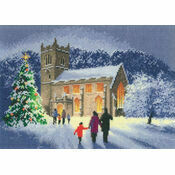 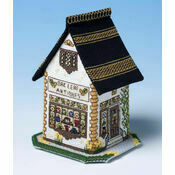 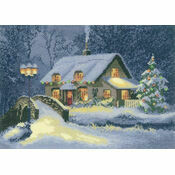 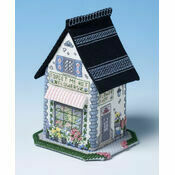 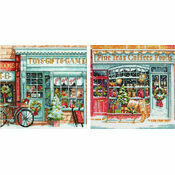 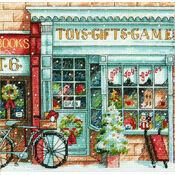 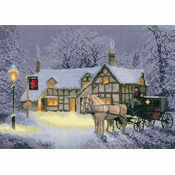 An inviting traditional Christmas cross stitch kit that is designed by John Clayton. 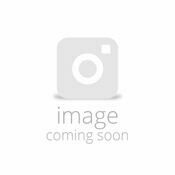 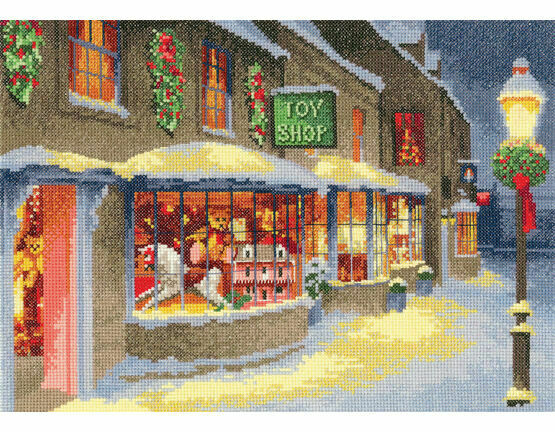 The kit pictures an inviting toyshop in the heart of the Christmas period which is set against a snowy street, the orange light coming from the toy shop window and street lamp gives the wintry background a lovely, warming glow. 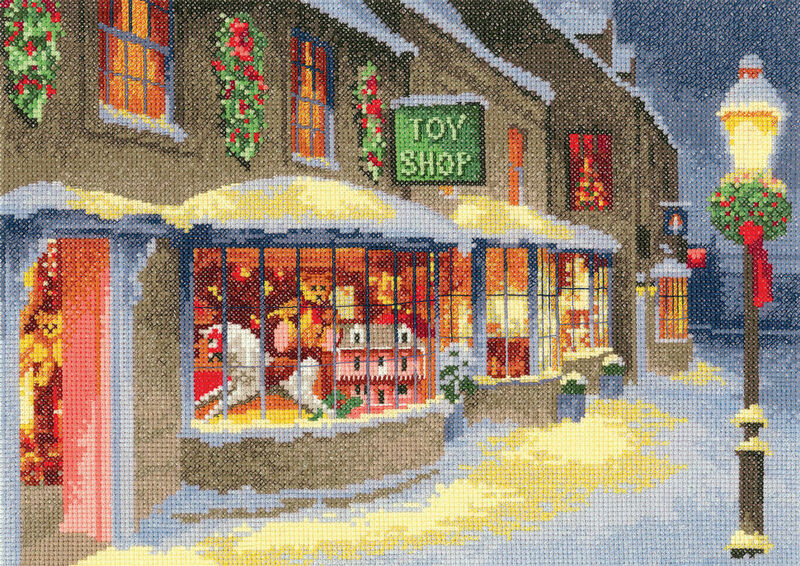 This picture captures the essence of Christmas perfectly and is a fun kit to make in the countdown to Christmas or given to a loved one once finished. 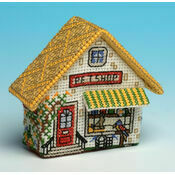 Really quick delivery and a great product would buy again from this company!